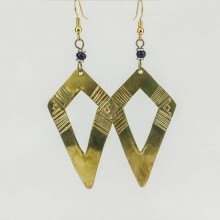 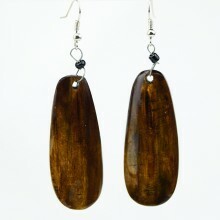 These copper and wood bead earrings were handmade in Kenya. 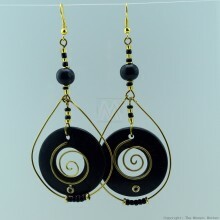 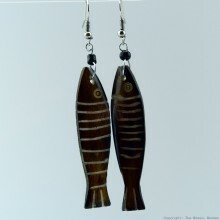 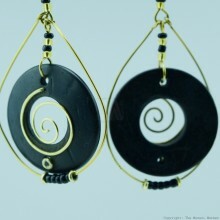 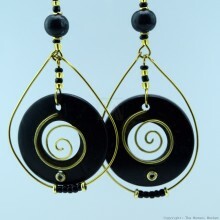 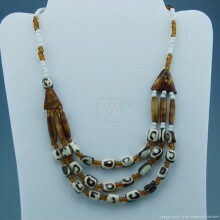 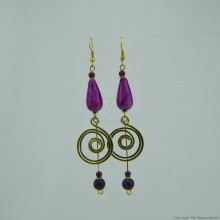 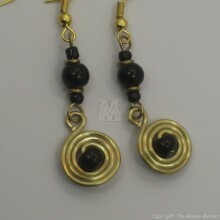 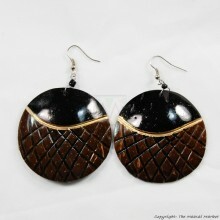 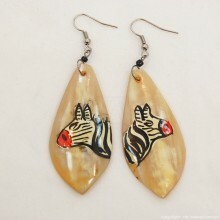 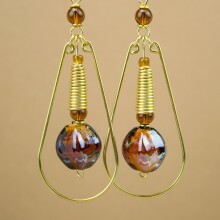 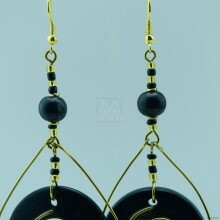 They are made of copper wire and large round flat wood beads, which form teardrop dangles with a lovely spiral design. 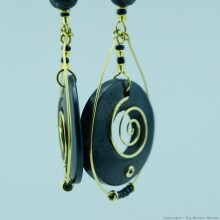 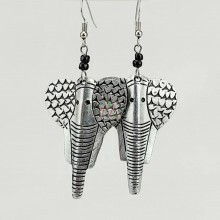 Because they are handmade, each pair of earrings is unique. 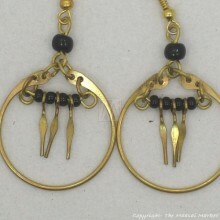 The earrings you get might look slightly different from the pair shown. 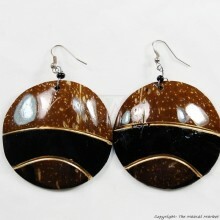 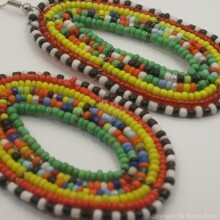 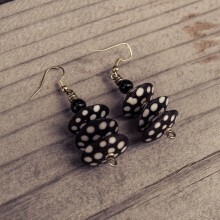 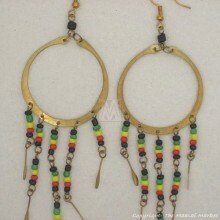 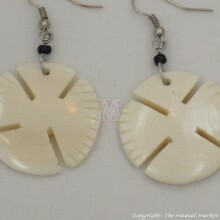 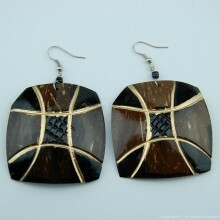 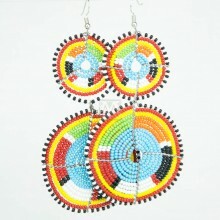 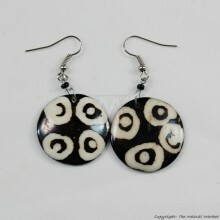 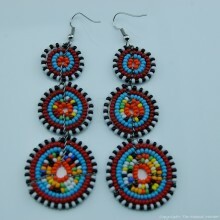 Size: Dangle is approximately 3 1/4" long, diameter of large wood bead is 1 1/4", whole earring is approximately 4"